Researchers at Warren Alpert Medical School at Brown University in the US found a link between a relatively new form of diabetes, known as “type 3” diabetes and Alzheimer’s disease. As with all types of dementia, Alzheimer’s is caused by a combination of genetic, lifestyle and environmental factors that affect the health of the brain over a period of time, but now scientists have discovered a strong connection between the disease and insulin resistance in the brain – also referred to as type 3 diabetes. Prof Christo Muller, Chief Specialist Scientist at the SA Medical Research Council (SAMRC) describes Alzheimer’s as a neurodegenerative disease in the aged, which involves the progressive loss of nerve cells and connections. 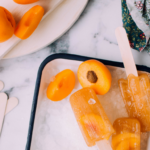 “Type 1 and 2 diabetes are typically characterised by hyperglycaemia (high blood sugar) whereas type 3 diabetes is a more complex disease that has its origin in the central nervous system. “Many type 2 diabetics have deposits of a protein called beta-amyloid in their pancreas, which is similar to the protein deposits found in the brain tissue of Alzheimer’s sufferers. According to research published in the World Journal of Diabetes, this increases type 2 diabetics’ risk of Alzheimer’s disease by between 50% and 65%,” remarks Muller. 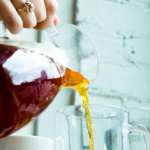 Current research suggests that Rooibos has the potential to delay or prevent the onset and progression of type 2 diabetes, however its effect on the associated risk of type 3 diabetes and Alzheimer’s disease still needs to be elucidated. 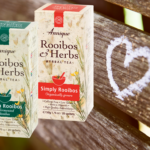 Muller says phenolic compounds present in rooibos enhances the body’s antioxidant defences helping to fight a variety of oxidative stress-induced conditions. “The brain is one of the organs most sensitive to oxidative stress, and long-term exposure to increased levels of free radicals causes damage to neural cells. Dietary antioxidants, such as those found in rooibos, could thus protect vulnerable neurons against the impact of oxidative by-products. “Rooibos tea is a rich source of dietary antioxidants, including flavonoids, such as dihydrochalcone glucoside, aspalathin and nothofagin. Aspalathin, in particular, helps to modify hormones in the body and reduces the output of adrenal hormones specifically, thus reducing stress and helping to inhibit metabolic disorders. “Aspalathin also helps to regulate blood sugar and therefore can play a role in reducing the risk of type 2 diabetes and excessive fat production. Our research at the SAMRC found that an aspalathin-enriched extract of green rooibos was particularly effective at lowering raised blood glucose levels in diabetic rats. Aspalathin is a unique phenolic compound (a chemical produced by the plant to help protect itself from negative environmental factors), limited to the genus Aspalathus, which has demonstrated a significant contribution to the biological benefits of rooibos,” he says. Studies conducted on the anti-diabetic properties of Rooibos by the SAMRC and the Agricultural Research Council (ARC), including those done in overseas laboratories, span more than 10 years’ of intensive work. In a more recent study conducted by Prof Muller and his team of researchers from SAMRC, rooibos extract achieved significant glucose- and cholesterol-lowering results in diabetic primates, which has been described as a breakthrough discovery. Human trials have been earmarked for 2018. “Rooibos, in conjunction with a healthy lifestyle is certain to benefit everyone,” concludes Prof Muller. The month of November is recognised around the world as Diabetes Awareness Month, which focuses on raising public consciousness of the signs, symptoms, and prevention of this condition. Currently, an estimated one in 14 South Africans between the ages of 21 and 79 suffer from diabetes. Alzheimer’s is reported to affect 750 000 South Africans.